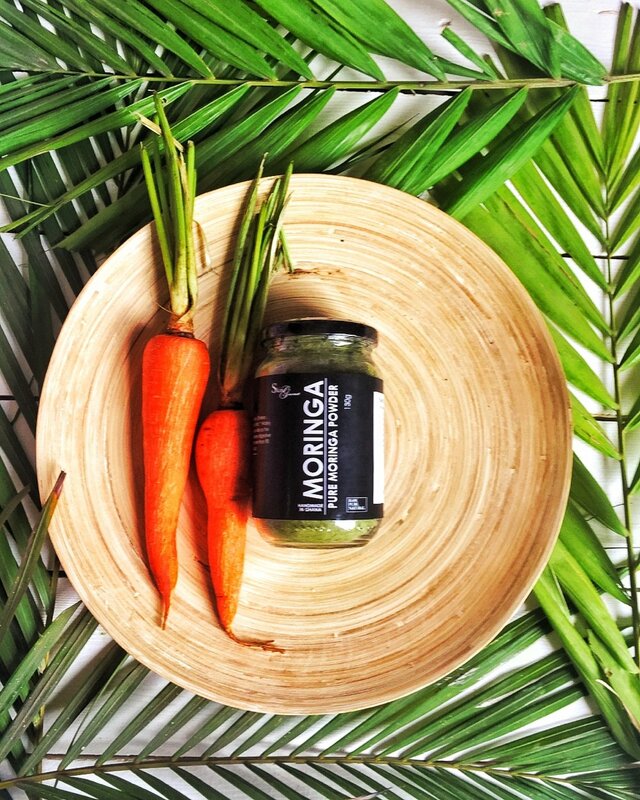 Never heard of moringa before? Although this plant was initially discovered for its beneficial properties thousands of years ago, only recently has moringa (sometimes called the Ben oil tree) become known as one of the most impressive herbal supplements to hit the holistic health market. In fact, in 2008 the National Institute of Health called moringa (moringa oleifera) the “plant of the year,” acknowledging that “perhaps like no other single species, this plant has the potential to help reverse multiple major environmental problems and provide for many unmet human needs.” Clearly, moringa benefits are highly touted and deservedly so. Two times the amount of protein of yogurt, four times the amount of vitamin A as carrots, three times the amount of potassium as bananas, four times the amount of calcium as cows’ milk, seven times the amount of vitamin C as oranges. One of the reasons that the many health benefits of herbal plants like Moringa oleiferaare so impressive is because they contain similar abilities to conventional drugs, only they don’t pose the same level of risk for experiencing side effects. According to a report published in the Asian Pacific Journal of Cancer Prevention, moringa contains a mix of essential amino acids (the building blocks of proteins), carotenoid phytonutrients (the same kinds found in plants like carrots and tomatoes), antioxidants such as quercetin, and natural antibacterial compounds that work in the same way as many anti-inflammatory drugs. Moringa leaves are high in several anti-aging compounds that lower the effects of oxidative stress and inflammation, including polyphenols, vitamin C, beta-carotene,quercetin, and chlorogenic acid. These are associated with a reduced risk for chronic diseases, such as stomach, lung or colon cancer; diabetes; hypertension; and age-related eye disorders. 4. Balances Blood Sugar Levels, Helping Fight Diabetes Moringa contains a type of acid called chlorogenic acid, which has been shown to help control blood sugar levels and allow cells to take up or release glucose (sugar) as needed. This gives moringa natural antidiabetic and hormone-balancing properties. Aside from chloregnic acid, compounds called isothiocyanates that are present in moringa have also been tied to natural protection against diabetes. 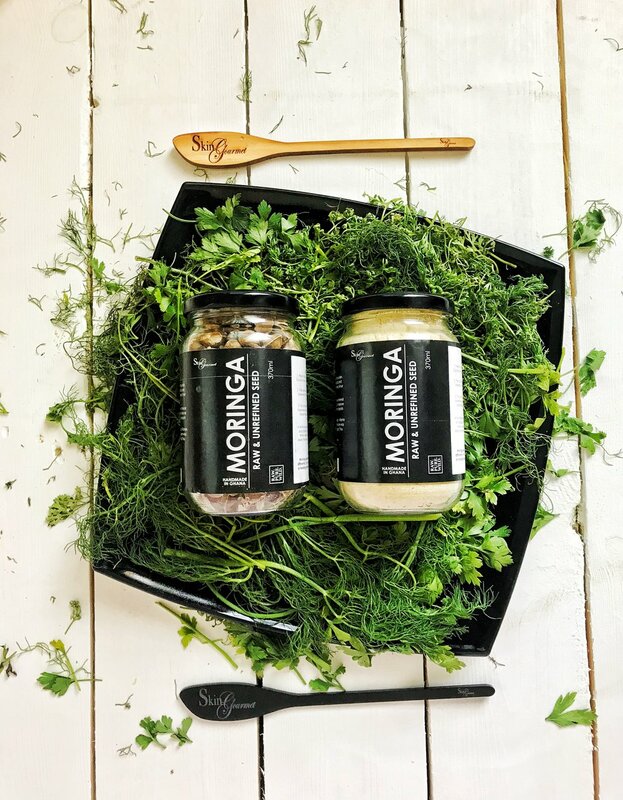 A study that appeared in the International Journal of Food Science Technology found that moringa had positive effects on blood glucose control and insulin levels in patients with diabetes when eaten as part of a high-carbohydrate meal. 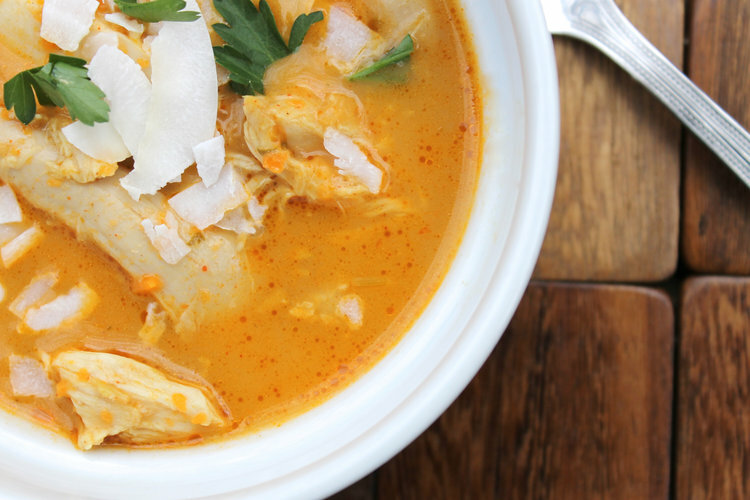 The effects of three different plants (moringa, curry and bittergourd) were tested in response to eating meals containing various levels of glucose. The results showed that plasma insulin responses were significantly lower when the three plants were included in the meal compared to when they weren’t, with all three plants having similar effects. High levels of immunoglobulin (IgA, IgG), fasting blood sugar and glycosylated hemoglobin (HbA1c) — three markers seen in diabetics — were also found to decrease as a result of moringa given to rats with diabetes. Results from the study showed that overall, compared to rats not given the herbal treatment, those receiving moringa experienced a return to both kidney and pancreatic health as well as reduced complications of diabetes. Moringa contains natural antibacterial, antifungal and antiviral compounds that protect the skin from various forms of infections. Some of the common ways moringa is used on the skin include: reducing athlete’s foot, eliminating odors, reducing inflammation associated with acne breakouts, treating pockets of infection or abscesses, getting rid of dandruff, fighting gum disease (gingivitis), and helping heal bites, burns, viral warts and wounds. As a high protein food and a rich source of the amino acid tryptophan, moringa benefits neurotransmitter functions, including those that produce the “feel good” hormone serotonin. Moringa is also rich in antioxidants and compounds that improve thyroid health, which makes it beneficial for maintaining high energy levels plus fighting fatigue, depression, low libido, moods swings and insomnia. An interesting characteristic of moringa? It’s said to taste like a mix between horseradish and asparagus. It might not have the most appealing flavor, but it’s a supplement with one of the the richest supplies of vital nutrients in the world, which makes the off-putting taste worth it. 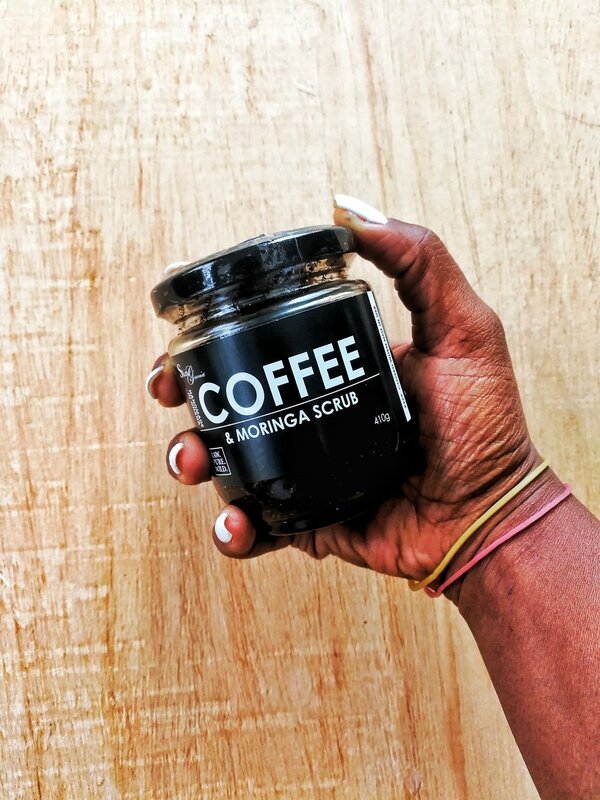 It’s recommended that you start by taking half a teaspoon of dried moringa orally per day for three to five days, increasing your intake slowly over two weeks as you get accumulated to its effects. Most people choose to take moringa every several days but not every single day for long duration of time, since it can can cause laxative effects and an upset stomach when overused. 1. Add all of the ingredients to your blender. 2. Blend until smooth. Enjoy! Guacamole is by far our most favorite way to eat an avocado! This recipe shows how easy it is to sneak in those healthy greens without anyone being the wiser. Using a mortar and pestle or mixing dish, add in avocados. 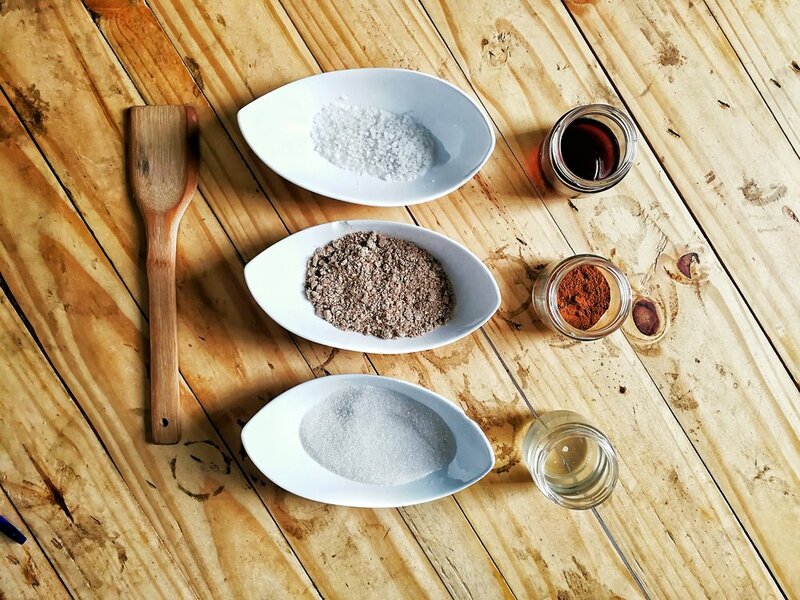 Mash with pestle or fork until desired consistency. Add in salt and Skin Gourmet's Moringa Powder (Mix well). Garnish with a few cilantro leaves and enjoy! Bonus tip: Keep the avocado pits immersed in the guacamole to help maintain its freshness, especially if you’re making this dish in advance. Add the pits back in before garnishing with cilantro. 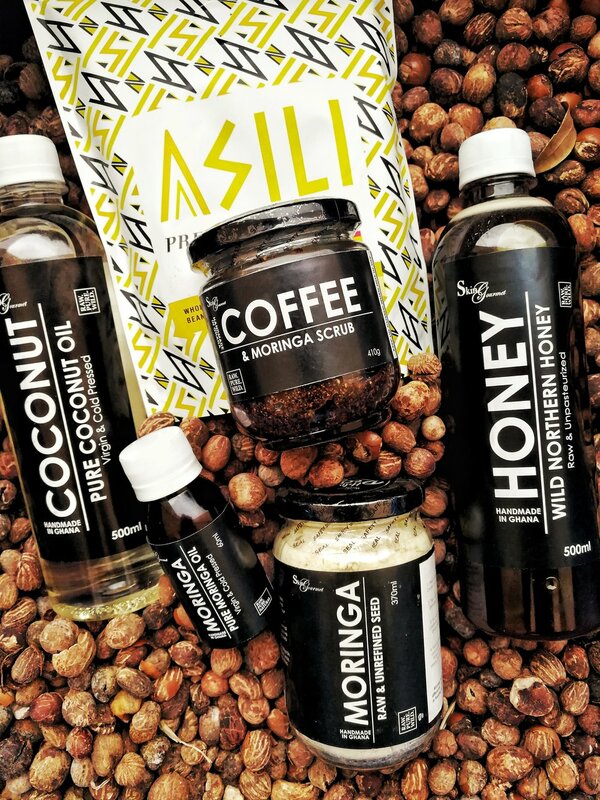 Saute the onion in Skin Gourmet's Cold Pressed Coconut Oil until brown. Add Garlic, add Chicken and fry until lightly browned. Add the fresh coconut milk coconut and ginger. Let it boil until halfway done. Add bell peppers, green beans and tomatoes. Season with Salt, Lime Juice, crushed pepper and a handful of roughly chopped coriander and chilli to taste. Boil for 5 minutes, and then remove from the heat to simmer down. 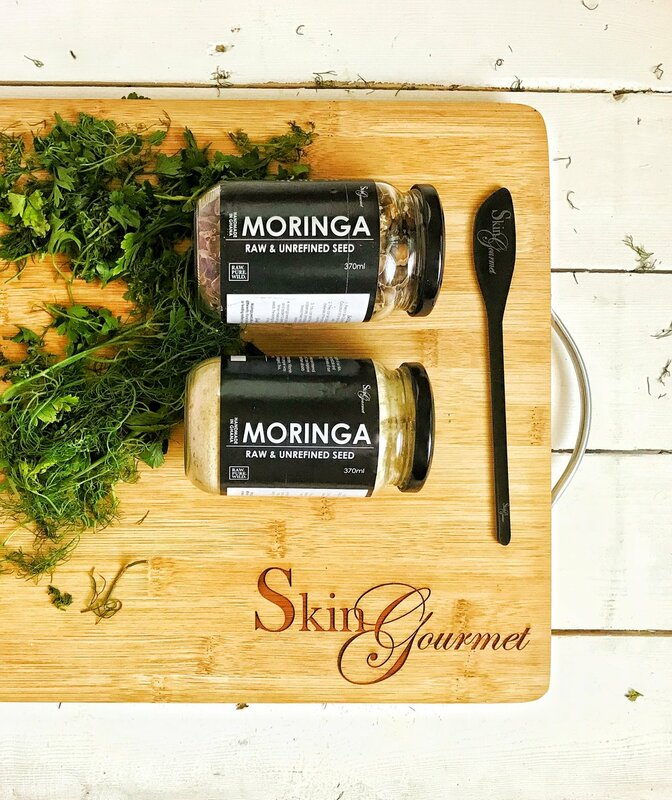 Finally stir-in Skin Gourmet's Moringa Powder 5 minutes before serving. The dish is best served with rice. Moringa oil is extracted from the seeds of Moringa oleifera, also known as the Drumstick tree. Moringa oil has got a special name, it is Ben oil. It is called so because it has high amounts of behenic acid. Moringa oil has been mentioned as a very useful oil in the medicinal books of Greece and Rome. Even today, this oil is used for a number of industrial applications. It is great for topical use on the skin and the hair. It is also a nice cooking oil with a soft, appealing taste. Antioxidant – Ben oil has strong antioxidant capacity. Anti-microbial – It is traditionally used in Sudan to purify water and is shown to reduce bacterial counts. Enfleurage – Moringa oil absorbs the aroma of essential oils and other fragrant compounds like herbs, nuts, seeds, spices and chemicals. This makes it the perfect perfume base. 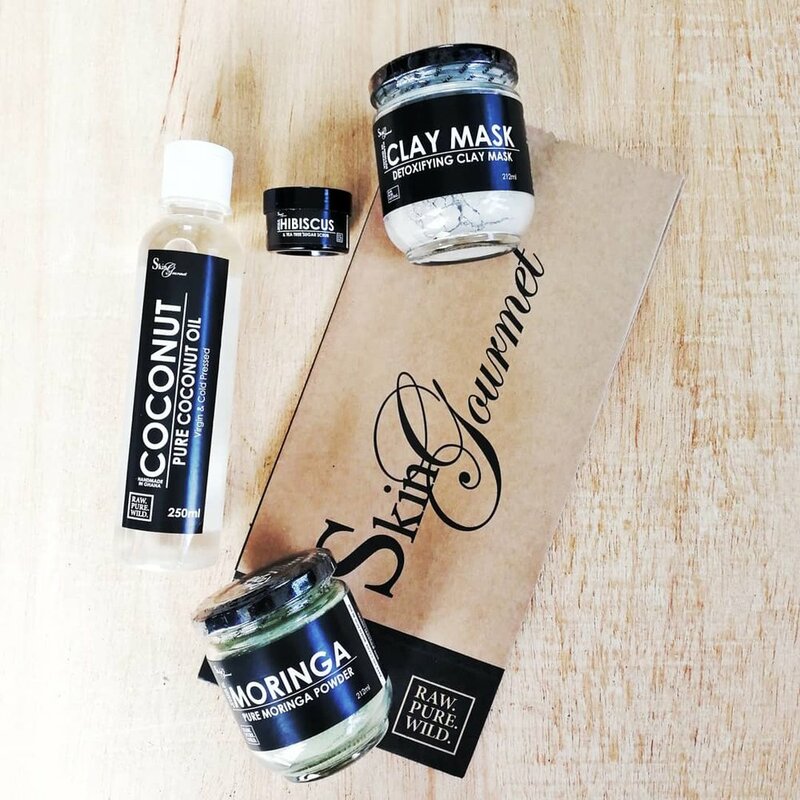 Moringa oil pacifies dry skin. It is helpful in dry, irritated skin conditions like eczema and psoriasis. Cooking oil – Moringa oil is a nice cooking oil. It is used for deep frying and sauteing. Its smoke point is about 200 ° C which is good for deep frying purpose. Moringa seed oil is preferred as a salad oil in many places. For Hair: The antioxidant properties of the moringa seeds benefit our hair too, as they can keep our internal system healthy and take care of the overall health of our tresses. The antioxidant vitamin C can improve the circulation of blood throughout our scalp, which stimulates our hair follicles and helps them absorb more nutrients. As a result, our hair becomes nourished and strong. 3. You can add them to soups, stews, casseroles, and sauces or add them to bread mixes, muffin mixes, or corn bread mix.